There is a nine and a half year age gap between my little brother and myself. When he was still in elementary school, I was already out living on my own and attending university. While he was in grade four, his school put together a cookbook and he decided since I liked to bake and cook it would make the perfect gift for me for Christmas. It is one of the sweetest gifts I have ever received. 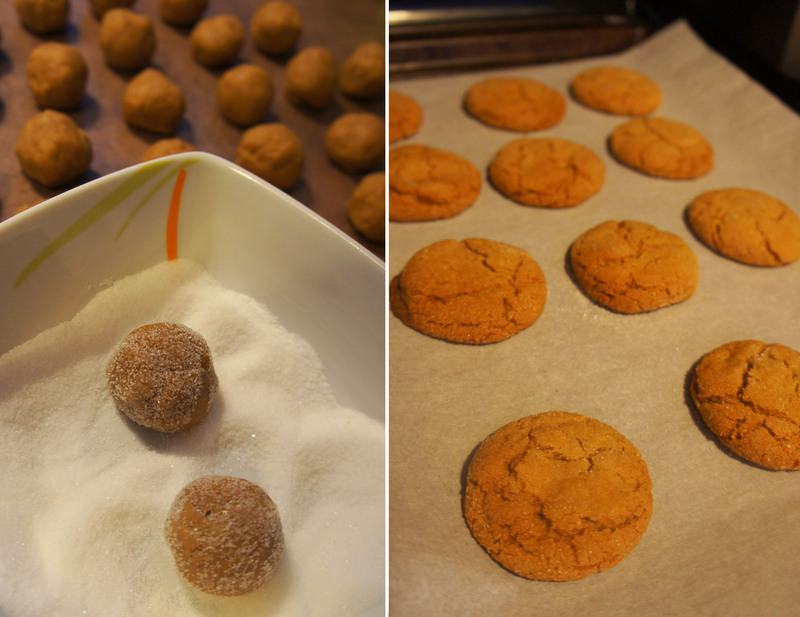 This Ginger Snap recipe comes from that cookbook. I used it for my first attempt making ginger snaps and they turned out so well I haven’t bothered trying a different recipe since. 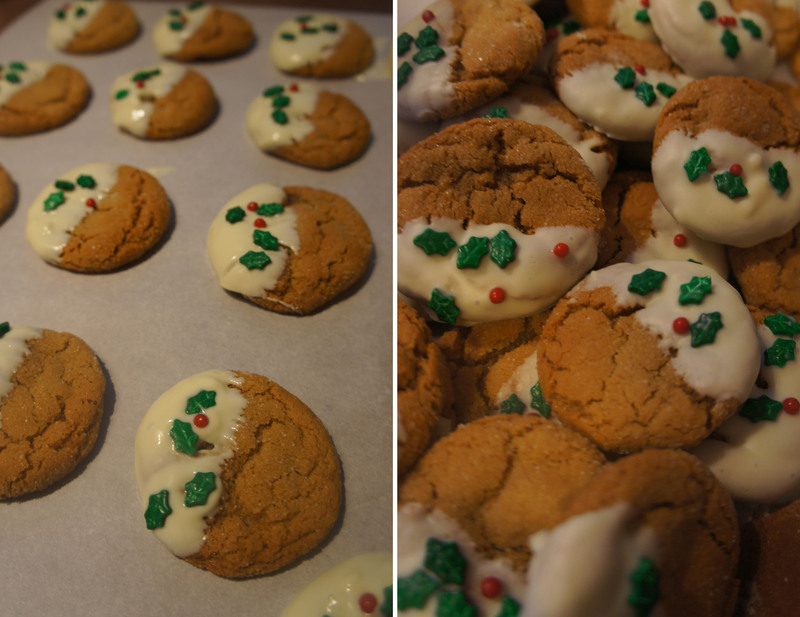 They have become a family tradition and it now isn’t Christmas without a batch of these chewy, spice filled cookies. Judging by how quickly my 3 year old made his disappear this afternoon, I don’t think it is a tradition that I will be breaking anytime soon. Stir in baking soda, ginger, cinnamon and salt. Gradually add flour and mix well until combined into a soft dough. Shape into approx. 1 tsp balls and roll in sugar. Place balls on parchment lined baking sheet and bake for 8-10 minutes. I typically roll my ginger snaps in a mixture of red and green sugars for Christmas to add a festive touch. This year, I decided to get a little fancier and dipped them in melted white chocolate and sprinkled them with some Wilton holly shaped sprinkles I found at Michaels. Either way they are delicious! These ginger snaps were also the final item for the tins of baking I was packaging up for my siblings. 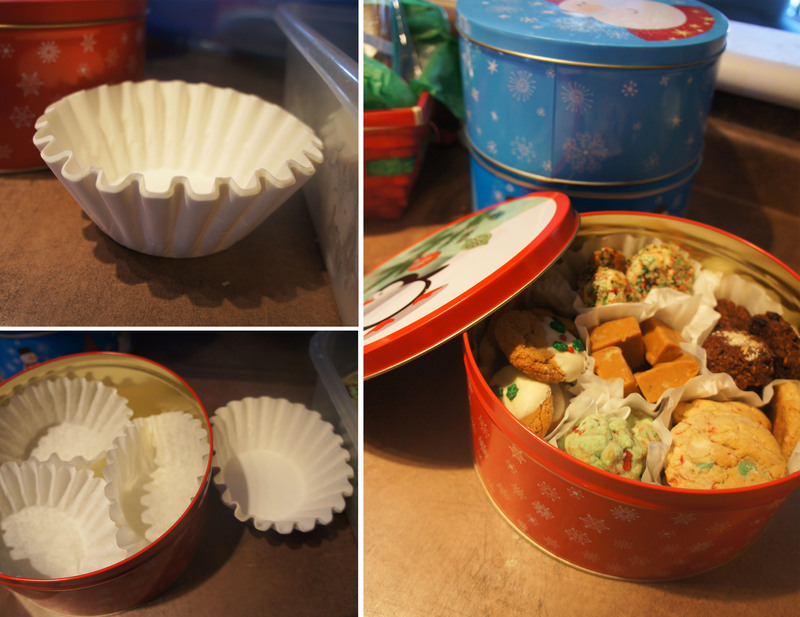 Last year I had the bright idea to use coffee filters in the tins to separate each of the baking items and it worked so nicely I thought I would share. They keep the flavours for mixing and add a nice white ruffle throughout the basic Dollar Store tins I used. 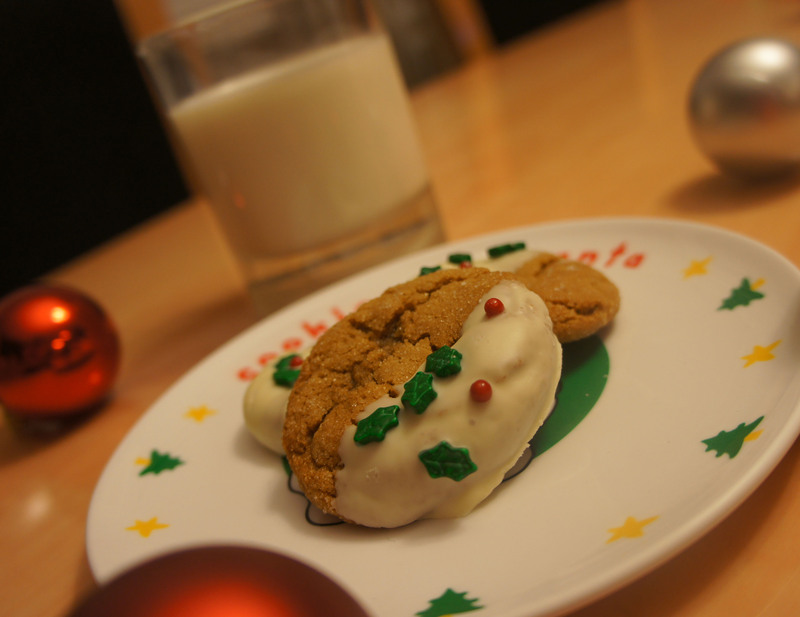 These gingersnaps are so festive and look amazing! I’ll have to try these!